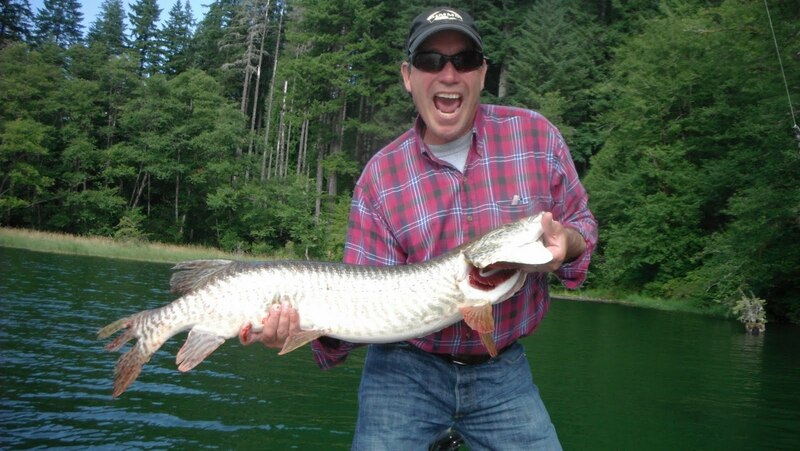 Doug Porter author of the Forever Fishing Washington State blog (and a persistent FCS slinger), caught this 41.5 inch tiger at Merwin Reservoir in Eastern Washington on a Fish Creek Hula Girl spinner. Thanks for sharing the pictures Doug! Don't it make you want to go Muskie FishIN? 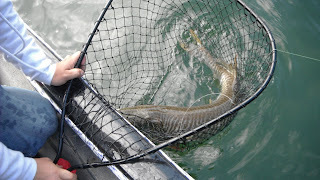 Muskie In ... the Net! Muskie In ... the Boat! 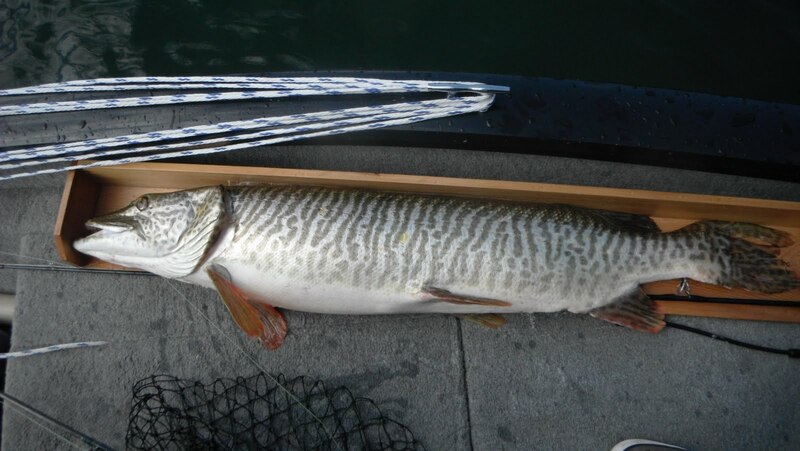 Muskie In ... the Hand. Ouch! Muskie Back in ... the Water! This Tiger Muskie was caught on a black and brass Hula girl spinner like this one. Here's another Washington Muskie caught early this year with a similar Hula spinner on the West side of Washington by Dean Pratt, fishing with Yankin Jaw Guide Service. Fishing jigs and fishing lures is very essential for your fishing time because if you collect good quality artificial but looking like real fishing trap you will get catch many fish.